Eating a bowl of cereal. Playing guitar. Going for a jog. Every move we make and activity we engage in requires us to use either the right side of our brain or the left side of our brain. The right-brain functions include creativity, intuition, music awareness, and 3-D forms while the left-brain functions include logic, language, science and math, along with reasoning skills. There are activities you can do to strengthen either side of your brain, but did you know that doing jigsaw puzzles can strengthen both at the same time? The time you spend putting together a jigsaw requires both sides of the brain which means there are lots of benefits to doing them. Not only that, but jigsaw puzzles can be tons of fun, both for the solo player or the collaborative player of all ages! 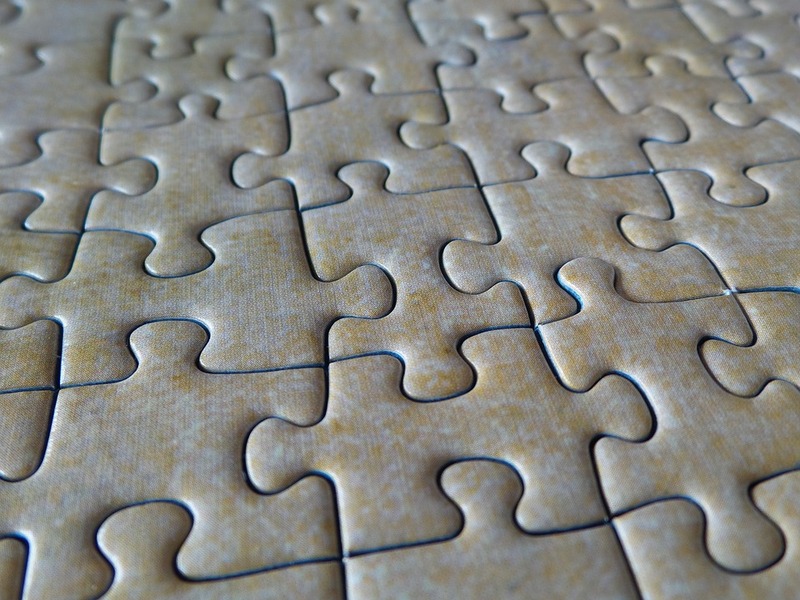 Jigsaw puzzles have been around since the 1760’s when they were created by John Spilsbury. He was a cartographer and the first jigsaw puzzle was made out of wood. According to Berkshire Puzzle Co., these wooden puzzles were called “Dissected Maps” because they were cut up pieces of a map of the British Empire. The name “jigsaw” actually came from the type of saw that was used to cut into the pieces of the puzzle. Spilsbury’s intention behind this creation was to teach children the geography of the lands Britain ruled. It wasn’t until the 1900s, however, that jigsaw puzzles became more popular in both the U.K. and the U.S.
Additionally, jigsaw puzzles have emotional benefits. 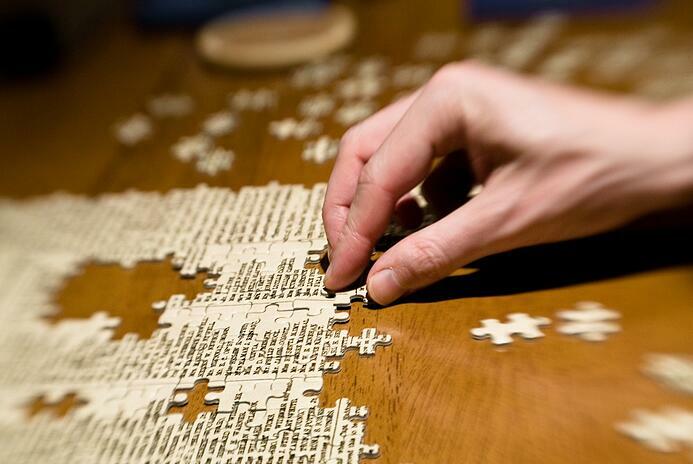 Sitting down and working on a puzzle can be a calming and peaceful experience. Not only that, but progressing and completing a puzzle is a satisfying experience. 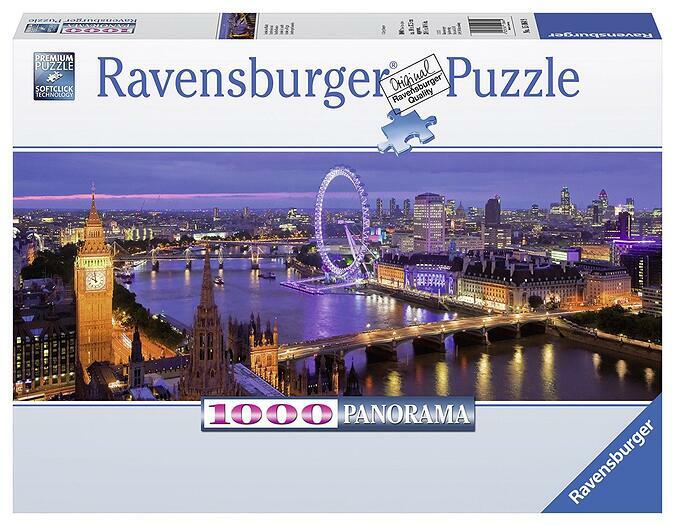 According to The Economist, “these quiet satisfactions may explain why Ravensburger, a German family-owned [company] established all the way back in 1883, still sells 19m puzzles a year in more than 1,000 different patterns.” The calming and joyful experience of putting together a puzzle is why jigsaw puzzles continue to be popular and relevant, even in this advanced age of technology. So the next time you have a free Saturday afternoon and you’re not sure what to do, why not break out a jigsaw puzzle? 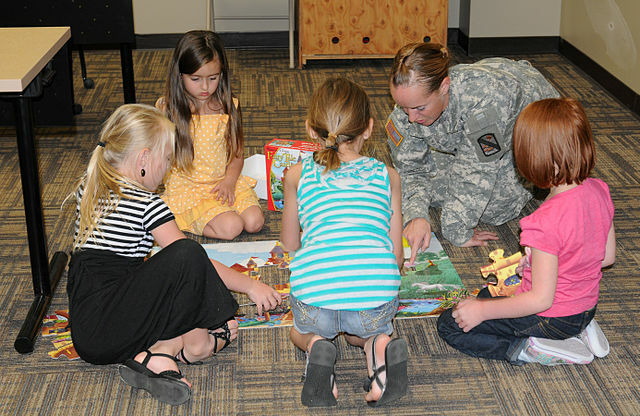 Your brain will enjoy it as much as you will and it can be an inclusive activity for the rest of the family too!